Welcome to Wildlife Facts, where you can find some amazing facts about all the billions of animals found on our little blue planet. How are they classified by scientists or learn a little more about their lives, habitats, and habits. Discover unique animals and learn more about wildlife found on earth. The Nile monitor (Varanus Niloticus) is found in sub-Saharan Africa. 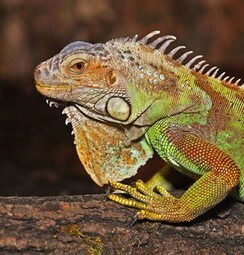 They adapt to a wide variety of habitats from tropical rain forests to savannas, except in desert areas. They live always next to water sources, such as rivers, lakes, wetlands or coastal areas. 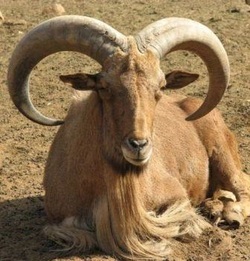 The Aoudad or Barbary Sheep (Ammotragus lervia) can be found in mountainous, rocky desert areas of North Africa, notably in Algeria, Tunisia, Chad, Egypt, Libya, Mali, Mauritania, Morocco, Niger, and Sudan. The giant otter (Pteronura brasiliensis) is the largest representative of the family Mustelidae, measures up to 180 cm long and weighs up to 34 kg. Spends most of his life in wet environments like swamps, banks of rivers and freshwater lakes. The Killer Whale or orca whale (Orcinus Orca) isn't actually a whale but the largest member of the dolphin family. 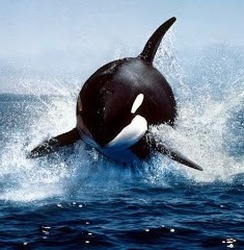 Killer whales can be found in all oceans of the planet and also in many of the smaller seas like the Mediterranean. Nile monitors (Varanus niloticus) are Africa's largest lizard and a ferocious predator.